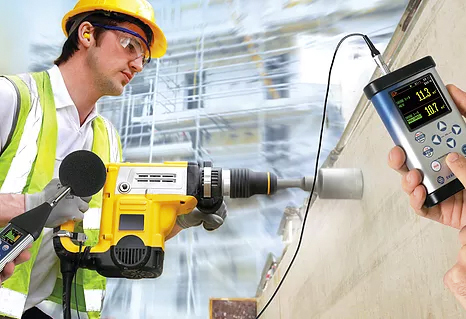 SV 106 Six-channel Human Vibration Meter and Analyser meets requirements of ISO 8041:2005 standard and it is an ideal choice for measurements according to ISO 2631-1,2&5 and ISO 5349. 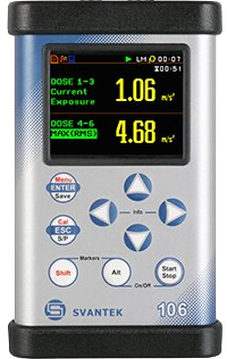 This revolutionary, pocket-size instrument enables simultaneous measurements with two triaxial accelerometers (e.g. both-hands vibration or triaxial SEAT transmission measurements are possible). 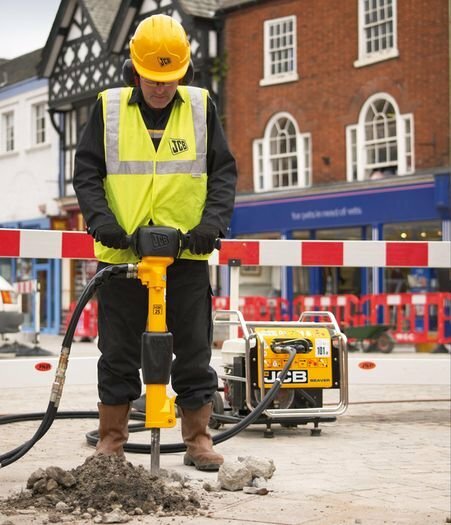 The RMS, Peak, Peak-Peak, VDV, MTVV or dose results such as A(8) and AEQ with all required weighting filters for human vibration measurements, including band-limiting filters, are available with this instrument. Using computational power of its digital signal processor, the SV 106 can perform 1/1 or 1/3 octave real-time analysis simultaneously to the meter mode. Advanced time-history logging and time-domain signal recording (according to the ISO 2631-5) to the microSD flash card offer a great data input for detailed signal analysis. Results can be easily downloaded to PC using USB interface.